SUMMARY: When Patricia Ramos-Waites’ sister asks for help resurrecting her dead boyfriend’s ghost, Patricia knows she should say no. But this may be her last chance to repair the fraying bond between herself and her sister. Of course, nothing ever goes as planned. When the resurrection of Marco is interrupted by a gang of drug smugglers who are also after his ghost, Patricia accidentally becomes possessed by him. Now, she and Marco are stuck navigating the tricky relationship of Host and Hosted — all while trying to parent two difficult teenagers, dodge criminals, and heal the ever-growing rift between Patricia and her sister. THE BACK STORY: Patricia and her sister, Valeria, came to me as a writing prompt in a class by Jeffrey Ford. He asked us to think of someone we’d met recently, then imagine that we’d followed them to see where they went. I remembered a Nicaraguan woman I’d spoken to on the bus the other day. Maybe she got off at the stop just after mine, I thought. Maybe she walked into that pho restaurant to meet someone — her sister. Maybe her sister asked her to raise the ghost of her dead boyfriend. And maybe that resurrection went terribly, terribly, wrong. I read the first draft in class, and Jeffrey Ford told me that if I didn’t write that novel, he was going to steal the idea. It took me a few years to get it done, but he doesn’t seem to have stolen it yet! The element I had to research most was the religion Palo. I watched a lot of videos and read a lot of blogs of Palo practitioners, and I also read this fabulous book: Society of the Dead: Quita Manaquita and Palo Praise in Cuba by Todd Ochoa. I’d highly recommend it. WHY THIS TITLE? : The title refers to the permeable nature of several types of borders: the border between the dead and the living, the border between Patricia’s mind and Marco the ghost’s presence, and the border between the US and our southern neighbors. WHY WOULD SOMEONE WANT TO READ IT? The most common feedback I get from people is that they don’t normally read horror, but they were intrigued by the description and got totally hooked in the relationship between Patricia and her sister Valeria. It’s a ghost story, sure, but mostly it’s the story of two adult sisters navigating their love for — and frustration with — each other. 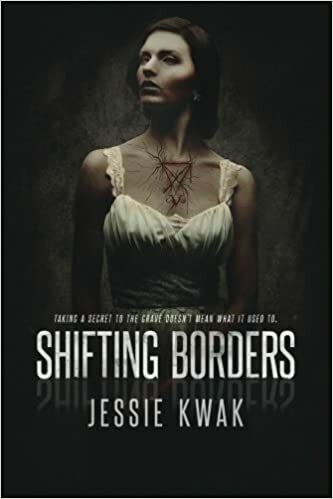 AUTHOR PROFILE: Jessie Kwak is a freelance writer and novelist living in Portland, Oregon. 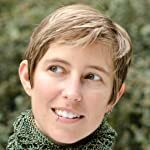 When she’s not writing B2B marketing copy, you can find her scribbling away on her latest novel, riding her bike to the brewpub, or sewing something fun. You can learn more about her at www.jessiekwak.com, or follow her on Twitter (@jkwak). Thanks, Darrell! I appreciate the opportunity to be featured here!